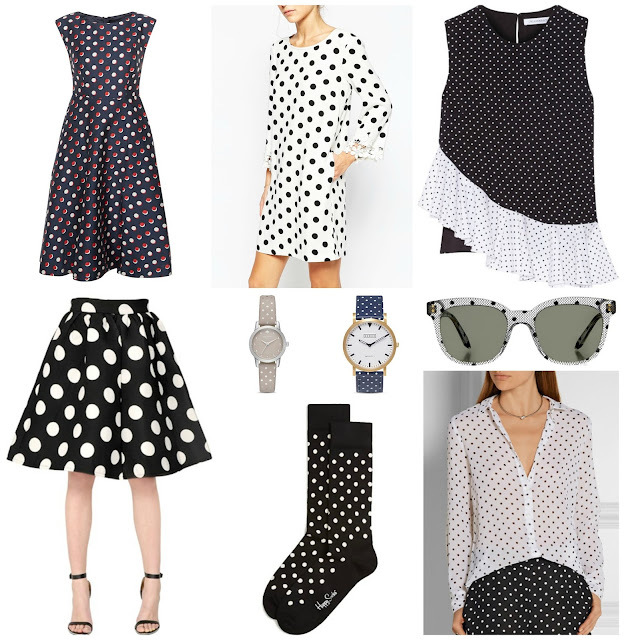 Some people love polka dots and some people hate them... However you feel about them, there are some great spotty pieces for Spring and these are my picks... Watches, sunglasses, tops, skirts, dresses and even socks... These classic pieces will never go out of style. Which one is your favorite?